No matter where it’s played, great music deserves the high quality that comes from a professionally designed and installed sound system. 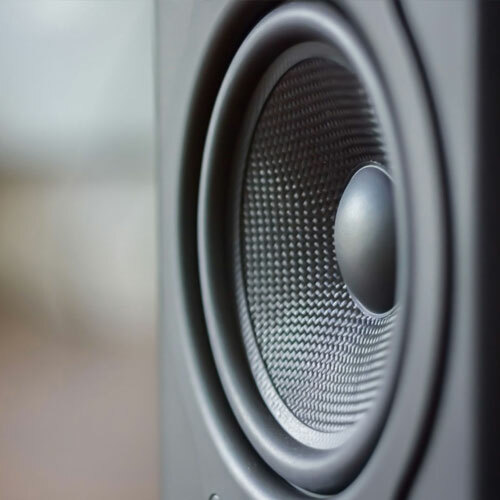 With professional installers and partnerships with leading manufacturers like Bose and Klipsch, we’re able to give great music the great sound it deserves, implementing exceptional sound systems for any need, anywhere. Our Professional Design Engineers can create solutions for any size business, architecture or application. When it comes to sound systems (or audio/video integrated systems) there is no such thing as one size fits all. As the nation’s largest commercial audio/video systems contractor, we can design and install a system that’s right for any budget. 5 North Media understands the importance of quality sound. Your experience will have greater impact and integrity when delivered through a high-performance system. As the leading national provider and installer of commercial systems, we are able to offer quality sound solutions at an affordable price.